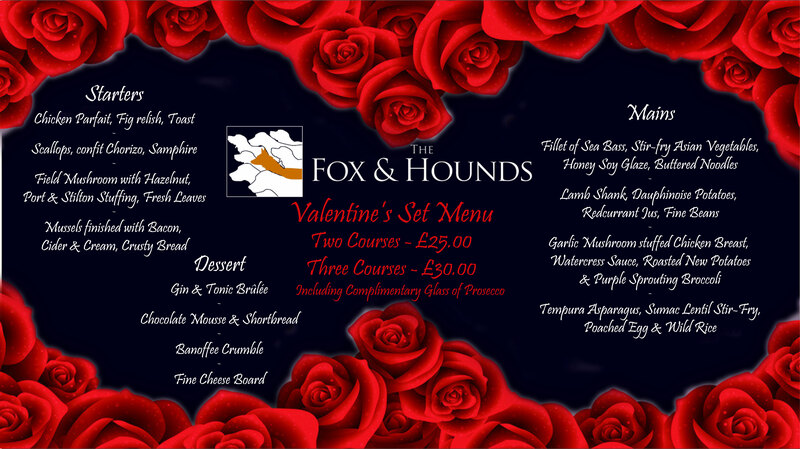 At the Fox and Hounds, we serve Food and Drinks all week and our Menus are regularly updated and varied. We offer a diverse, fresh lunch menu everyday of the week. Visit our 'Menus' Tab for an insight! Also, we provide a Fine Dining Dinner Menu from Monday to Saturday. To enlarge, please right click on the photo and select "open image in new tab"
Stay tuned for upcoming events at The Fox and Hounds. Follow our Facebook Page 'The Fox and Hounds at Christmas Common' for the latest updates and news.